Klaipeda, Smiltyne, Nida, Vecekrugo Kopa, Preila, Juodkrante, and the tip of the peninsula. I wish there was a way to write about places in real time while you’re seeing them. 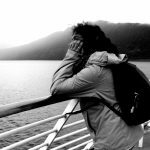 We had yet to leave for Lithuania, and already I was eager to board the bus to Klaipeda, as it meant being close to the Curonian Spit. I had almost learned by heart the section of the Lonely Planet guide about the Neringa peninsula (as the Curonian Spit is also known). 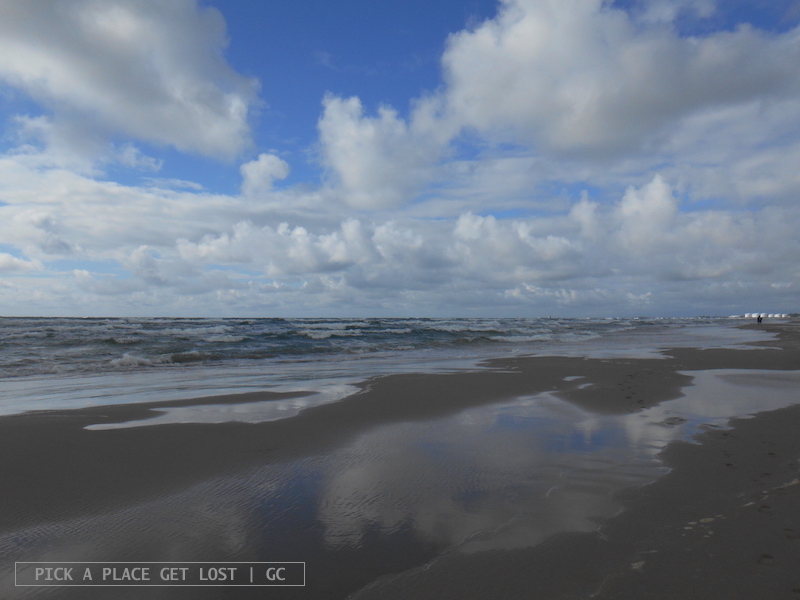 I wanted to go to Nida and see its sandy dunes. 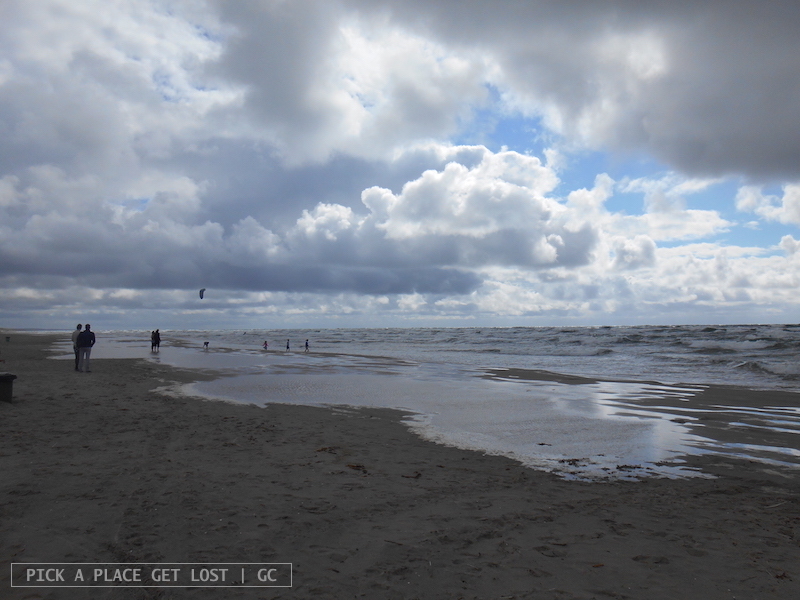 I wanted to stand on the Baltic Sea shore and dip my feet in the water. And I wanted to walk from one side of the peninsula to the other so as to see the Curonian lagoon and the Baltic Sea at the same time. My friend and I practically spent two and a half days moving around the Neringa peninsula, and I can solemnly declare that they were amongst the best spent two and a half days ever spent. 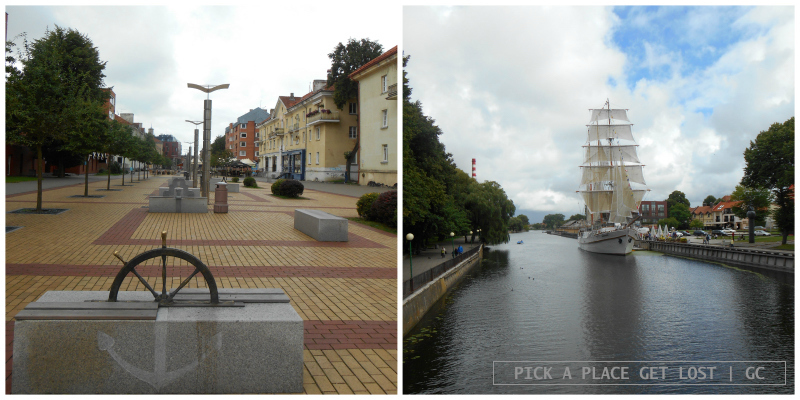 We were based in Klaipeda the whole time, which turned out to be a fairly wise decision on our part, as our hostel was located literally across the street from the bus station, and was only a 20-minute walk through the city centre to the ferry terminal. The Curonian Spit can only be reached from Klaipeda by boat (if you go by bus, the bus still has to board the ferry to cross the lagoon). It takes literally five minutes (and 40 eurocents) for the ferry to drop you off at Smiltyne, the northernmost village of the peninsula. 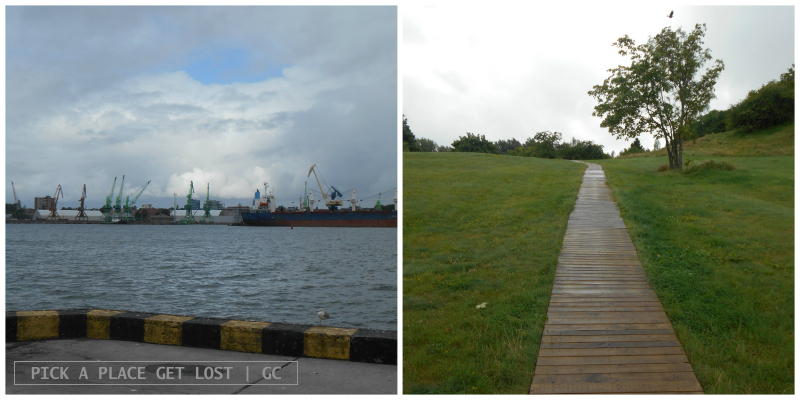 Soon after checking in at our hostel and briefly walking around Klaipeda city centre, we stopped resisting the urge to jump on a ferry, and it was barely 4 o’clock when we got off the ferry in Smiltyne and ran off to the closest bus stop roof to find shelter from the pouring rain. Fifteen minutes of the heaviest of showers and it was all over, and the sun was peeking out. So off we went through the pine forest, and it was beautiful. 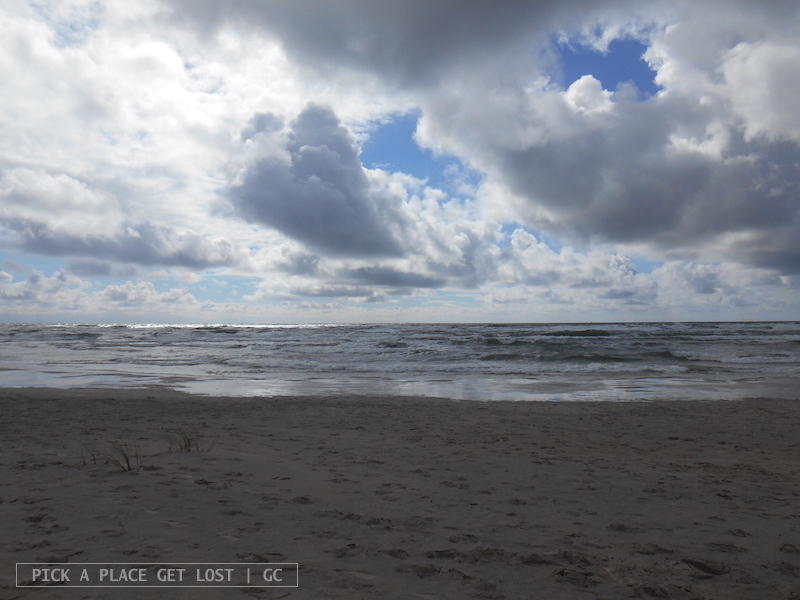 It didn’t take long to learn that the Curonian Spit makes for a truly multisensory experience. 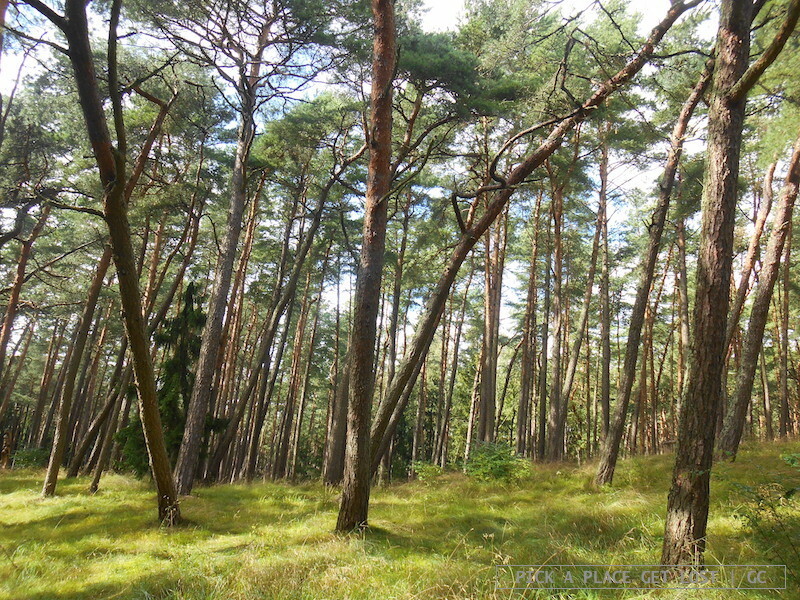 You see the beauty of its overwhelming nature, you smell the pine trees even before entering the forest, you touch the shiny moss covering the ground, you taste the fresh salty air as it fills your lungs, and you hear the noise of the Baltic waves long before you reach the shore. At first it’s like a distant gurgling that makes you think you’re near a waterfall or a stream. Then the gurgling grows louder and louder, until suddenly the ground turns into sand, and the path goes up, and behind the bushes the Baltic Sea spaces in every direction, mighty and loud as a night storm. I could hardly believe my eyes when we got to the beach. 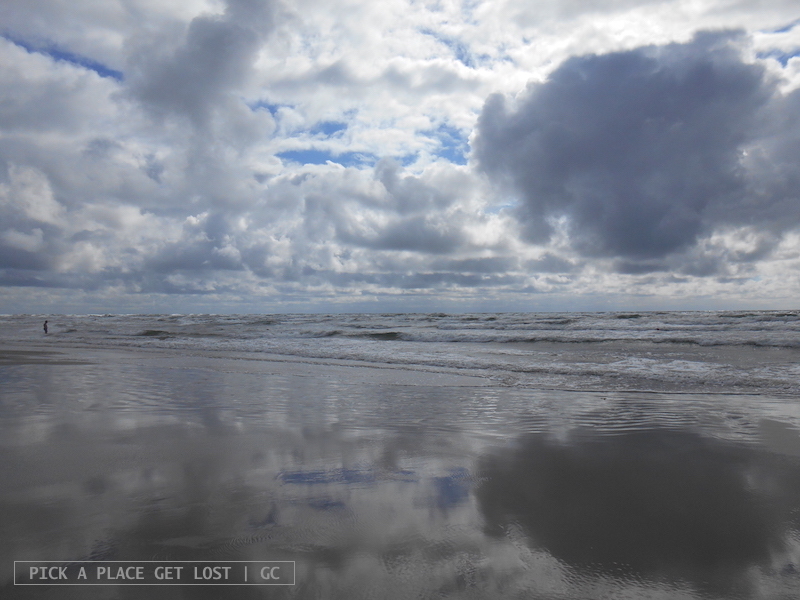 The sea was rough oh so rough, and the waves so foamy they were similar to the low-lying clouds looking themselves in the mirror of the damp sand below. Everything was shiny and bright, and the air was so sharp that it made the horizon even further than it really was. The water was freezing cold, and the waves and the wind produced such a loud white noise that we almost had to shout to make ourselves heard by each other. The hour and a half spent on that Smiltyne beach was exactly the kind of sublime nature I’d hoped to experience by seeing the Baltic Sea. What I didn’t know was that that would be the first in a fairly long series of equally breathtaking sights we’d be enjoying over the next couple of days. This entry was posted in Lithuania 2016 and tagged curonian spit, klaipeda, lithuania, lithuania 2016, lituania, smiltyne by Giorgia. Bookmark the permalink.